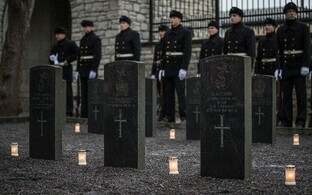 At a ceremony marking the centennial of the start of the Estonian War of Independence on Wednesday, the Ministry of Defence bestowed its highest decoration, the Cross of Merit, 1st Class, on outgoing Commander of the Estonian Defence Forces (EDF) Gen. Riho Terras. 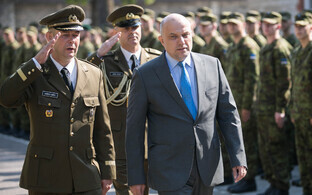 Minister of Defence Jüri Luik (Pro Patria) at Wednesday's ceremony conferred the ministry's decorations on 62 individuals for their contributions to the national defence of Estonia. The merits cited as the basis for awarding the Cross of Merit of the Ministry of Defence and other decorations included contributions to the development of bilateral defence cooperation, the establishment of the Cyber Command, the development of national defence infrastructure, the development of international defence cooperation, and the development of a system for the assessment of the health of EDF conscripts. Luik said that the contributions in all domains and by all individuals are important to the development of national defence as a whole. "Your work and your contributions are worth cherishing, and it is a real pleasure to serve the Estonian state together with you," Luik was quoted by spokespeople as saying at the ceremony. "Our forebears wisely took advantage of the opportunity to establish the Estonian state," Luik said. "It is our duty to do things in such a way that we should never have to wait for an opportunity to begin establishing this state again." 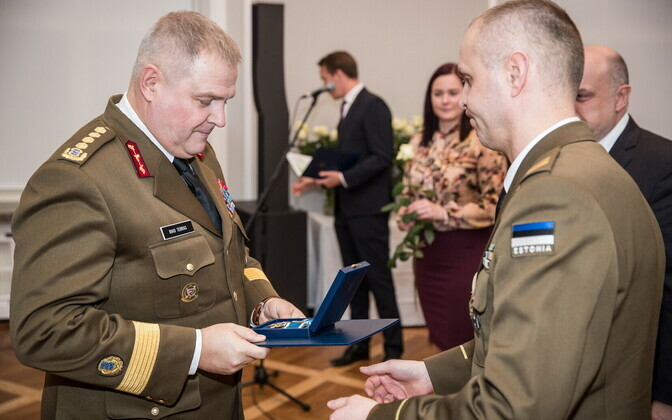 The Cross of Merit, 1st Class was bestowed on Terras for his outstanding and significant contributions to the development, in his capacity as commander of the EDF, to Estonia's national defence. Terras was appointed to office by the Estonian government in October 2011. 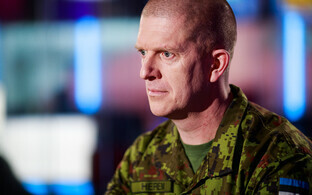 In December 2015, the government decided to extend his term of office as commander of the EDF by two years, through 4 December 2018. This January, the Estonian government endorsed the appointment of Maj. Gen. Martin Herem as the new commander of the EDF effective 5 December 2018. The Cross of Merit, 2nd Class, was bestowed on Lt. Col. Mark Paul Attrill for outstanding merit related to the launch of the NATO Force Integration Unit since 2015 as well as support for the preparations necessary for NATO troop transfers. 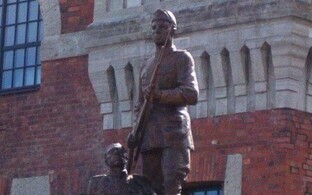 The Cross of Merit, 2nd Class, was also bestowed on Cmdr. 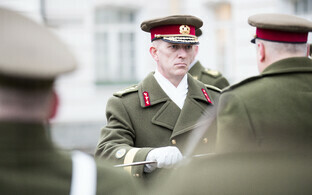 Gary Lee Brooks for outstanding merit in developing bilateral defence cooperation between Estonia and the UK. The Cross of Merit, 3rd Class, was bestowed on Mihkel Tikk, Col. Andres Hairk and Maj. Silver Andre for their significant contributions to the establishment of the Cyber Command of the EDF.